We are a “Real” Minneapolis/St Paul Florist that has been offering the best in fresh flowers and customer service since 1925. We pride ourselves on supplying our customers with fresh flowers, floral product of the finest first rate quality and placing our customers first above all else. We have created a unique and lasting trust with our clientele; Ranking Soderberg’s at the top of any list of Florists in the Twin City Metro Area. 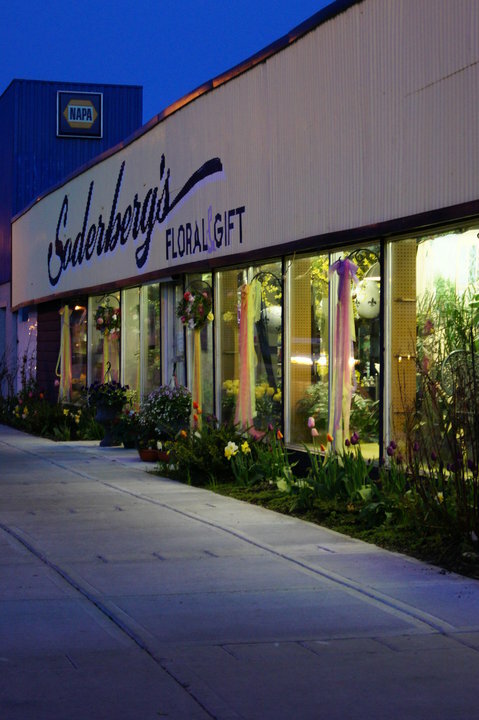 Soderberg’s Floral & Gift has been serving the Minneapolis/St Paul metro area with superior and affordable floral arrangements since 1925. We have served clients, families, and friends through all the celebrations of life; be it a birthday, anniversary, wedding or death of a loved one. Rest assured Soderberg’s fresh flower designs will help you say what often times words cannot. When you choose us, you can always expect to be treated more like a family member and less like “another customer”. Owner Howard O'Neill is 2010-2011 Minnesota State Florist Association Designer of the Year. Manager Kym Erickson, AAF, MNCF, CF has placed and won numerous state, national and local design awards and designer competitions. 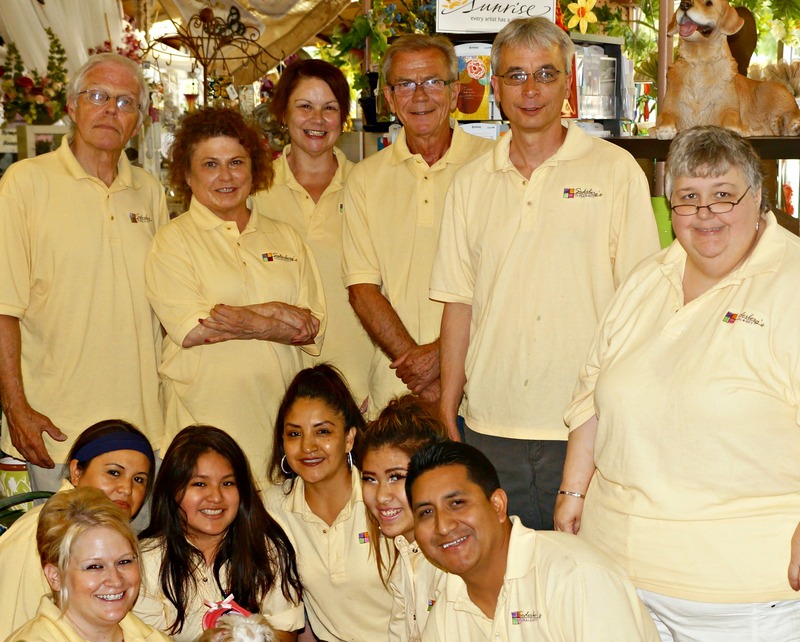 We have 3 MN St. Floral Association Certified Florists on staff! The entire Staff has won numerous awards and MN State Fair ribbons. We participate in numerous community and state wide events. Including the Longfellow Corn Feed, Minneapolis Home and Garden Show and our work can be seen in prestigious events throughout the year. Stop to see our huge annual display in the Ag/Hort building at the Minnesota State Fair. Howard’s outstanding leadership and passion for his craft has made Soderberg’s the choice florist of Minneapolis, Minnesota. Howard O’Neill is the 3rd and current owner of Soderberg’s Floral & Gift. Howard O’Neill’s career in the floral industry is quite extensive. Howard has been working with innovative floral designs for 40 years and counting! If you are looking for the best floral solutions and services in Minneapolis, look no further. Howard has you covered! Howard’s hobbies include, gardening, traveling and taking in an occasional Prairie Home Companion show. Howard’s favorite flower is the Yellow Rose and favorite part of the job is getting to design with all the fun seasonal varieties. Kym Erickson is the General Manager of Soderberg’s Floral & Gift. Kym has been a florist since she was 16 years old. With a head for business and a heart for flowers, Kym’s career includes management, ownership, award winning designs, and customer service. Kym’s genuine friendliness and professionalism is a staple of Soderberg’s superior service. Kym manages all of our operations, ensuring that every order is received fresh and on time. No matter the occasion, she will work with you to make the best decisions for your floral arrangements. She is the President of the Minnesota State Florist Association and has been inducted in the American Academy of Floral culture. 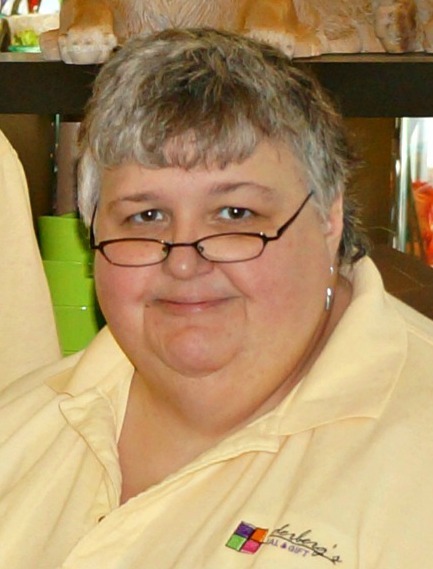 Kym enjoys traveling, knitting, stained glass and her dogs Lucy and Princess. Kym’s favorite flower is Hydrangea and now they can be seen in the store year round. 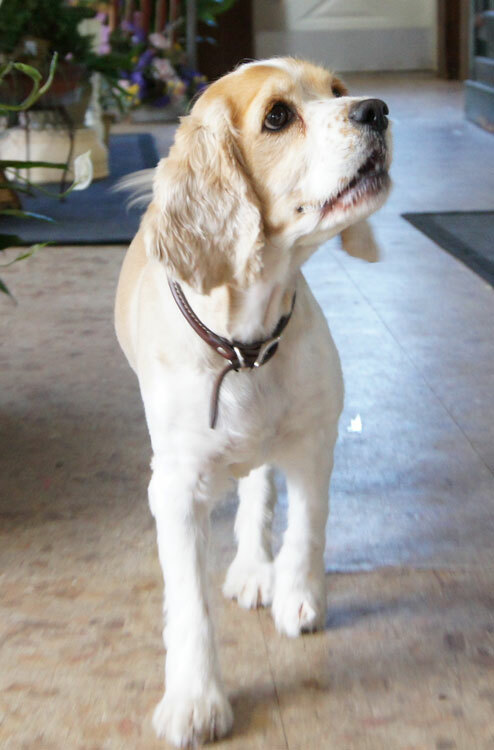 Life at Soderberg's of course revolves around everyones favorite customer greeter, Lucy. She can be found in the store on just about every day, as of course, she is the ultimate customer service representative! She will greet you at the door and lick your face if you’re willing to come to her level! Customers can be seen daily rubbing her belly or throwing her favorite bear to be retrieved. She can be seen on the roof of the shop overseeing the neighborhood as the King Cavalier (she is half Cavalier and half Cocker) watches over his kingdom. 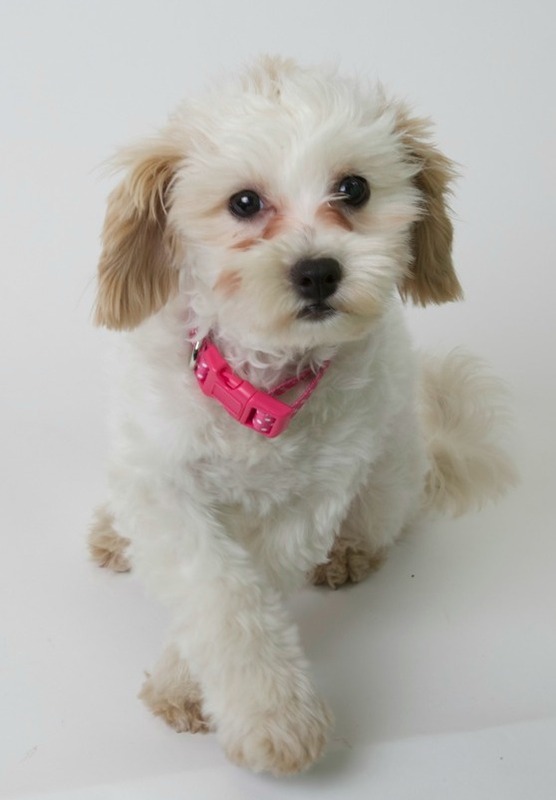 Meet the newest edition to the Soderberg Family- Princess Daisy! Chewing on box corners, steal plush animals off the shelves and leaving us torn tissues messes currently is her main occupation. She has fast becoming a certified member of the welcoming committee. All though still in training, she will strut her tail and kiss your face all over if given the opportunity! Princesses favorite flower is any that have fallen to the floor and have a bone like consistency to chew on. She is part Bischon and Shiz Tu -which gives her the "Teddy Bear" appearance. ✓ Do not charge a service charge for online orders.